Mark Engler is a guide’s guide. He’s spent decades guiding fishing trips in Colorado and New Mexico and has become a legend for it: the crusty guy who’s seen it all, who catches more fish than anyone, the boat you don’t want to be behind — the one who’s going to get them no matter what. 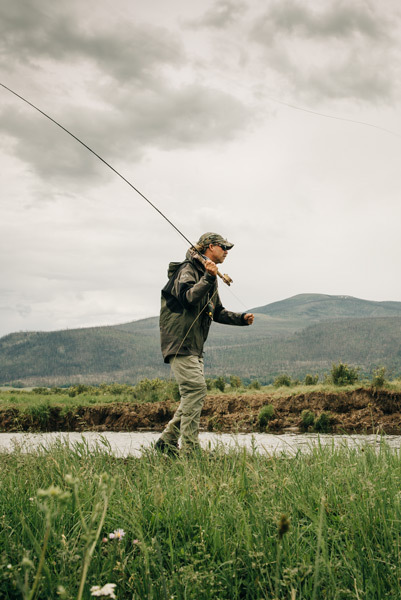 He’s tied some of the most effective flies to target fish in the Four Corners and practically invented the idea of fly fishing for pike around Durango when no one else was doing it. He always dreamed of having this life – hunting and fishing all day, every day – but it hasn’t come without sacrifices.